I read this article and found it very interesting, thought it might be something for you. The article is called Do Companies With Heart Make Money? Part 1 and is located at https://teamperformanceus.com/2014/01/firms-of-endearment-part-1/. The answer is unequivocally yes. 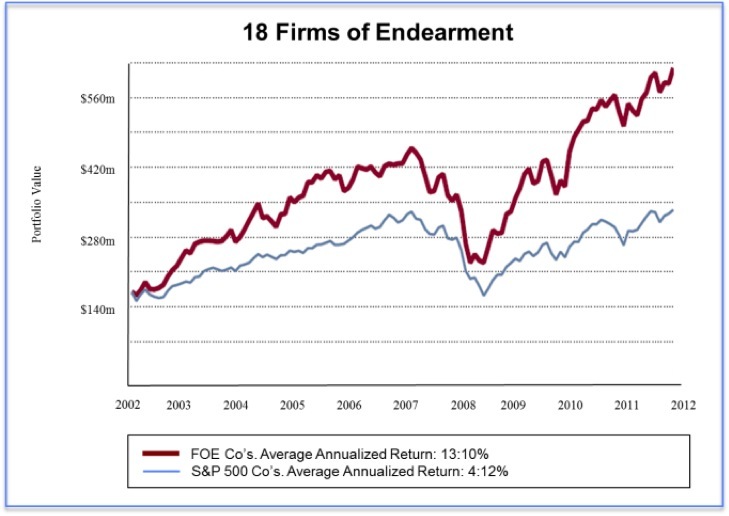 In the book, Firms of Endearment, Raj Sisodia, David Wolfe & Jag Sheth, did a study of companies that had heart. Each company meeting a certain criteria gets put on the list as a Firm of Endearment (FoE). The authors found that companies with heart most definitely made money and were very profitable over time. None of the “good to great” businesses made the cut as an FoE, although Gillette came close. 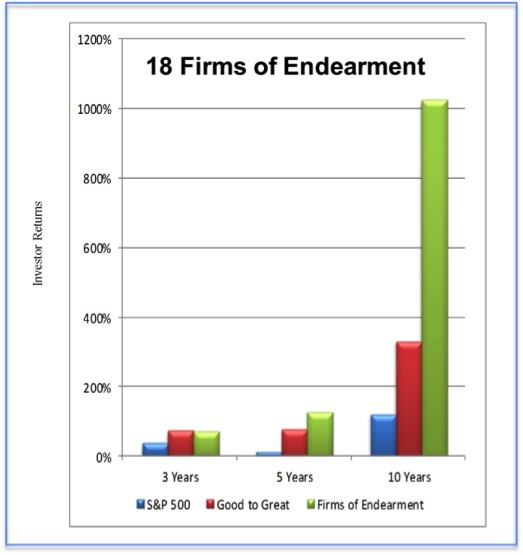 FoEs performed on par with Good to Great companies over 3 years. FoE organizations operate as an economic ecosystem with many interdependent, equally valued participants. Here are excerpts from Firms of Endearment that explain FoEs and the origin of the terminology. Sisodia, Wolfe & Sheth give details about each top FoE to help us understand what sets them apart and why such a strong correlation between an organization’s humanistic and economic performance exists. Notably, while it provides plenty of specifics for meaningful application, Firms of Endearment is also very engaging and inspiring. Very informative and innovative. I am looking forward to the next blog!